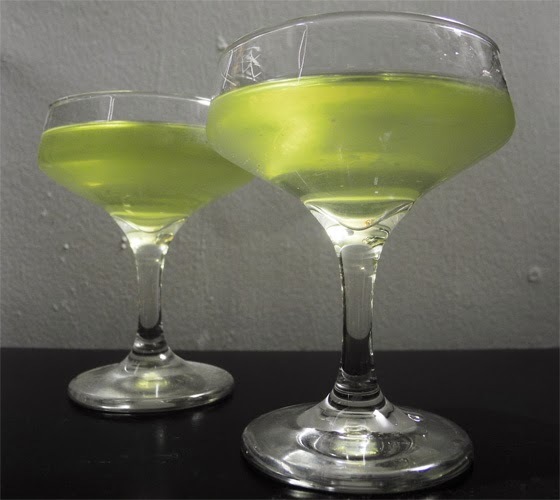 There's been a bit of experimentation here at Gastronomista HQ, my better half has been testing recipes for clarified lime juice. 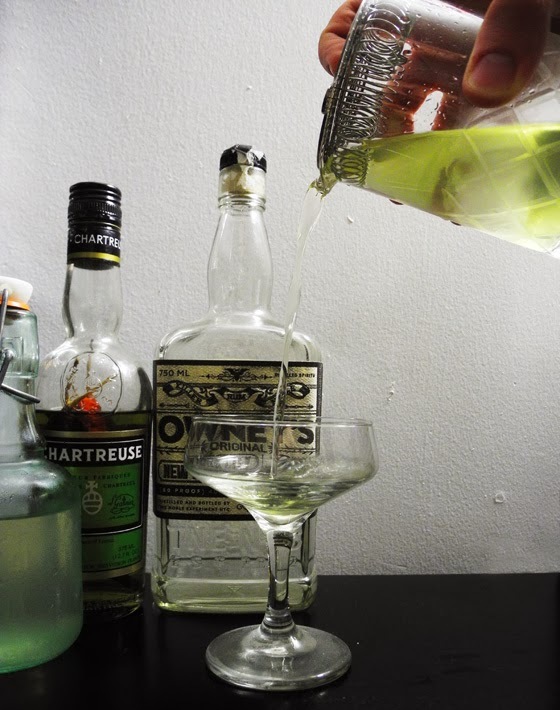 It's a simple, yet time consuming process, but the results are quite stunning in cocktail form. 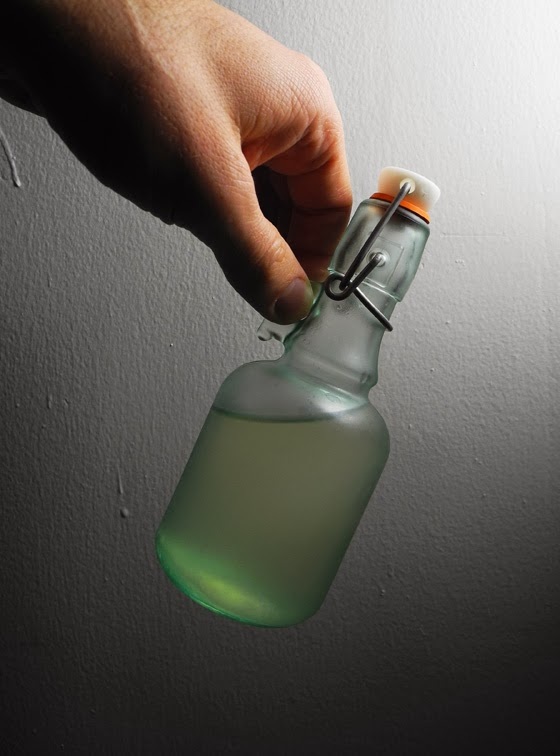 Lime juice usually is a bit cloudy, but by removing all the pulp, it yields a gorgeous and bright green juice. The process uses Agar Agar powder, a vegetarian gelatin made from seaweed. The agar binds to the solids of the fruit, and when strained separates from the clear liquid of your juice. 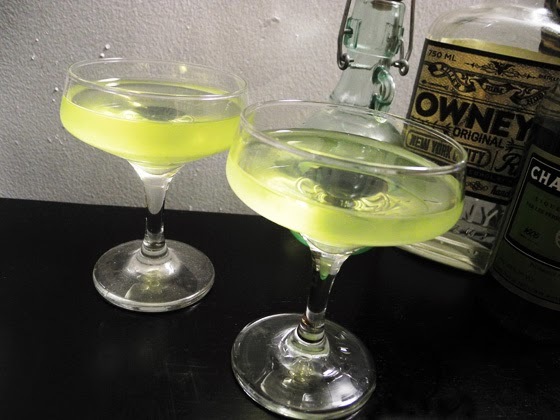 It performs very well in cocktails, keeping them bright and transparent, and dangerously seductive. 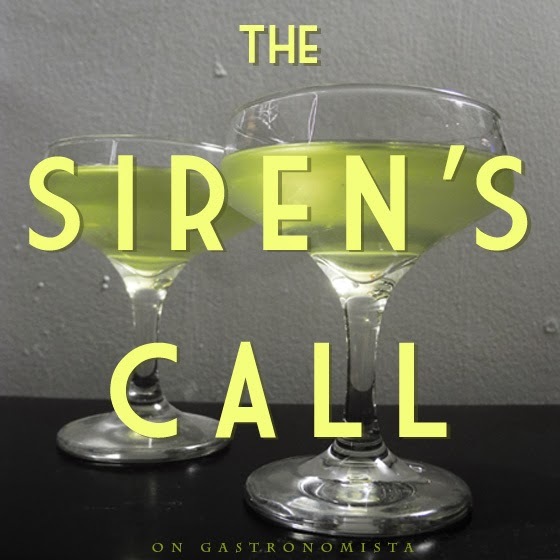 One might throw themselves upon rocky shores for a taste of The Siren's Call, made with Owney's Rum, Thai Chili Infused Green Chartreuse, and Clarified Lime Juice. 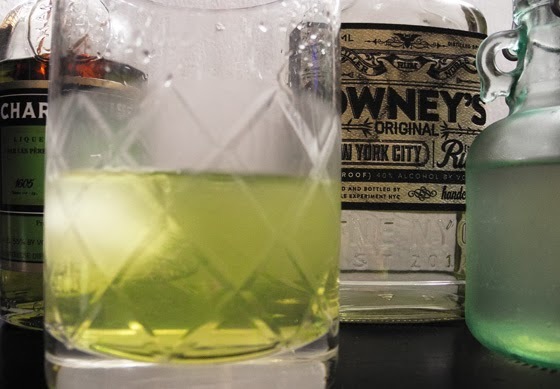 It's a gorgeous cocktail - the bright greens of the lime and the chartreuse seem to glow in the glass. Bring water to a near boil, and stir in the Agar agar. Lower heat and let simmer for 2-5 minutes, until the agar is dissolved. Pour into a metal bowl, and add lime juice, whisking as you pour. Once the mixture is thoroughly mixed, put in the refrigerator until the gelatin sets. Line strainer with a few layers of cheesecloth, and pour gelatin onto cheesecloth. Allow liquid to drip through, and then raise up the cheesecloth, gently squeezing with your hands. Make sure none of the "curds" come through the straining process.